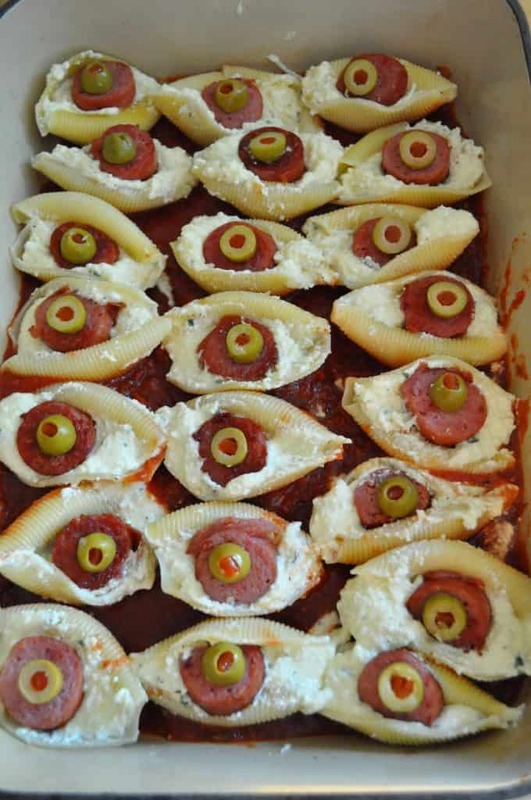 Cheesy stuffed shells in a red sauce masquerade as monster eyeballs for a creepy but delicious Halloween Pasta dinner, it’s great for potlucks too. I finally got around to making these, I’ve been noodling (HA!) the idea around for a while now and finally, time, ingredients and will collide in my kitchen. They look high maintenance but no they’re easy to make. Just put your kids to work if you need an extra pair of hands in the kitchen, it’s not hard work though, mostly pleasant stuff like browning sausage and stuffing cheese in shells. The 11-year-old was completely capable of browning the sliced Hillshire Farms smoked sausage and the 9-year-old would have helped but there was emergency Lincoln Log construction project he needed to attend to. I like to get them alone in the kitchen anyway, it lets one of them download their day and we have some great one on one time together. Although all three of us work well in the kitchen together too, it’s nice to just have one to talk with and concentrate on. 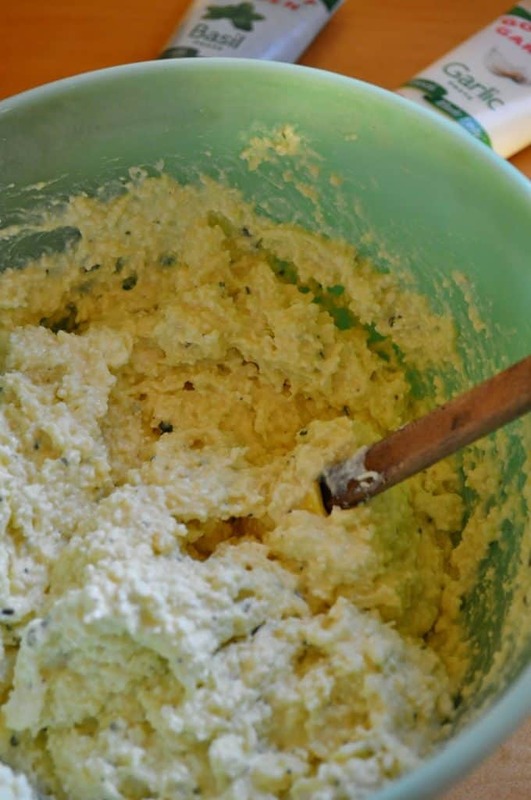 4 cups ricotta cheese or 2 cottage cheese and 2 ricotta--use what you have! 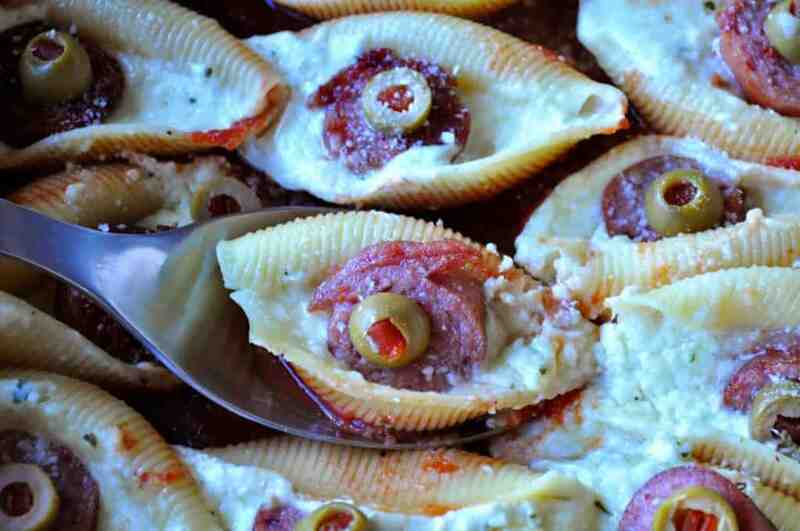 The box of pasta once cooked usually yields about 32 unbroken shells, I always toss the last of the broken cooked shells in a little casserole dish with any leftover cheese and a dab of sauce to top them off and make my husband a little cheesy dish for lunch the next day. 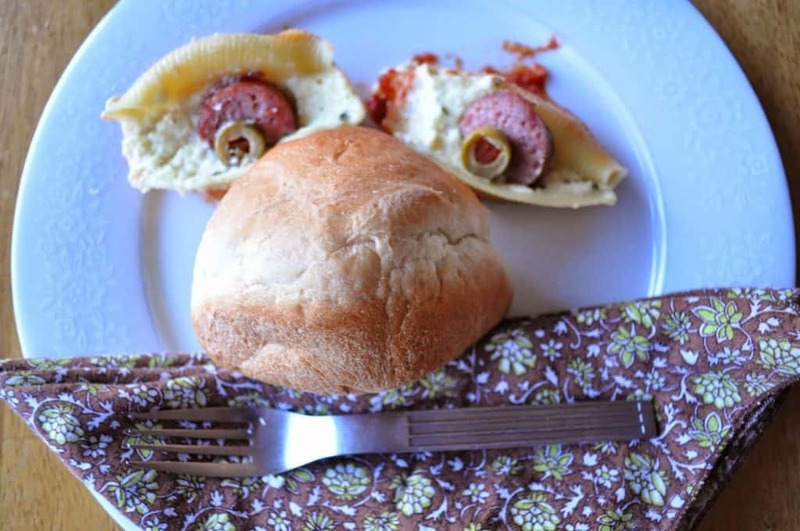 My 9 year old son, made a face on his plate, we encourage playing with your food apparently and we reward it with photos. Grade A parenting, folks, right here, right now. Ha ha ha… I don't normally go in for making things in faces for my son but for Hallowe'en I think you can make an exception. I like this! What a fun Halloween dinner! Thanks for linking up at FTAF! 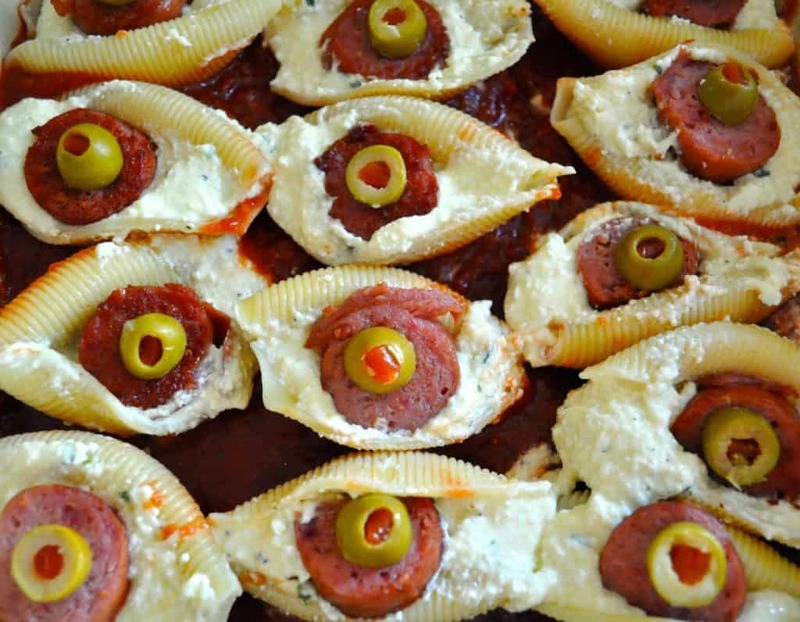 Oh, yes, those are definitely creepy (and delicious)! Nice to see a Halloween 'dinner' rather than a treat. 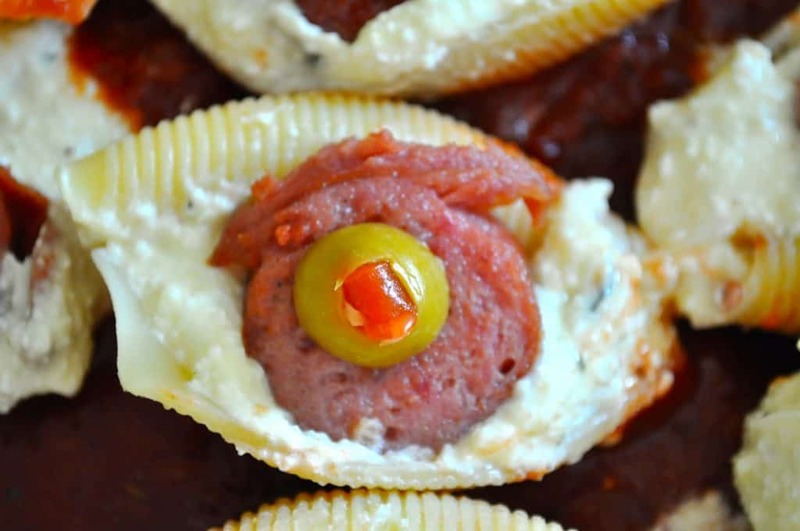 Thanks for linking up with From the Archives Friday! These are perfect. I know my Little Angel Face will love them. I could care less if they’re watching me eat…gobble, gobble, gobble! 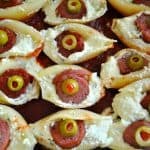 What a super fun meal! I love these! So creepy, yet cute all at the same time! PINNING! !